The 35-storey office building is refurbished, while its podium is replaced with a new 50-storey five-star hotel with 700 rooms which located strategically at Jalan Sultan Ismail, Kuala Lumpur. 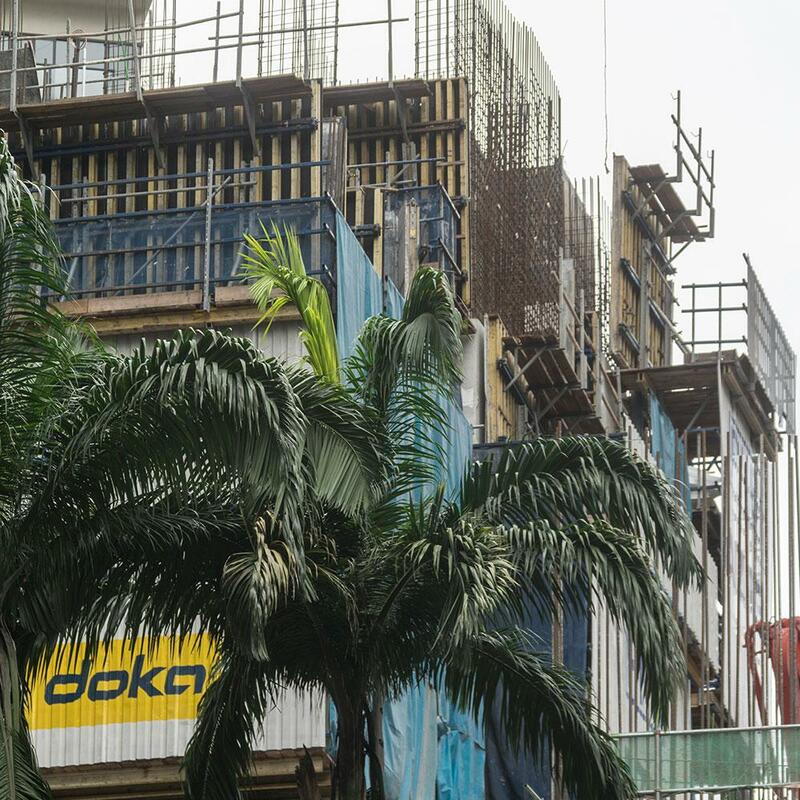 Doka supplied formwork for the entire project. 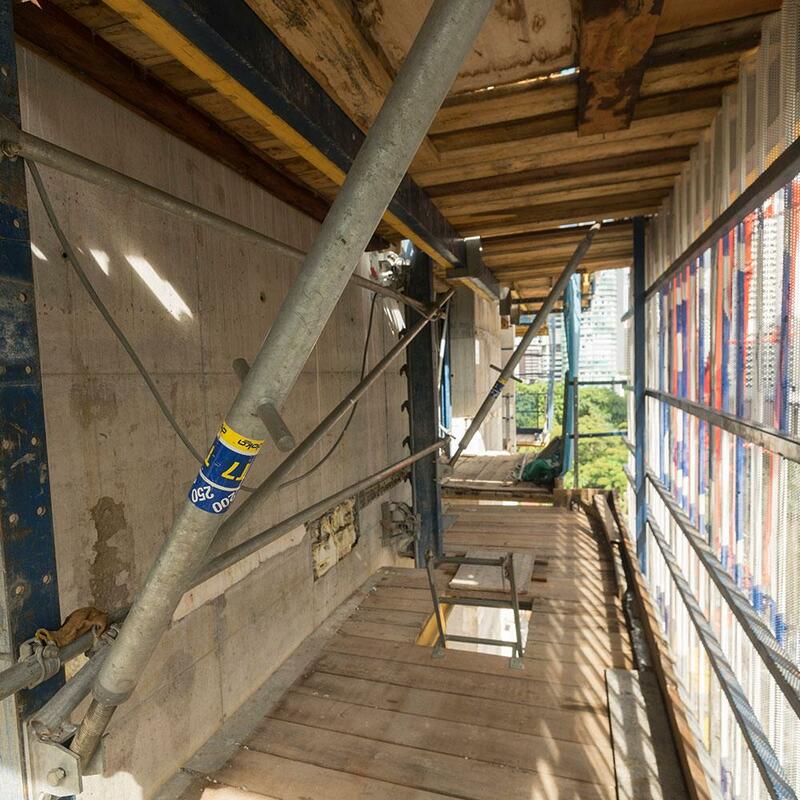 With the requirement of 6 days cycle time with high safety standard, Doka supplied X-climb 60 for corewall to jump ahead. Due to limited cranage available at site, table lifting system (TLS) has greatly overcome the challenge to move Dokaflex table without crane. 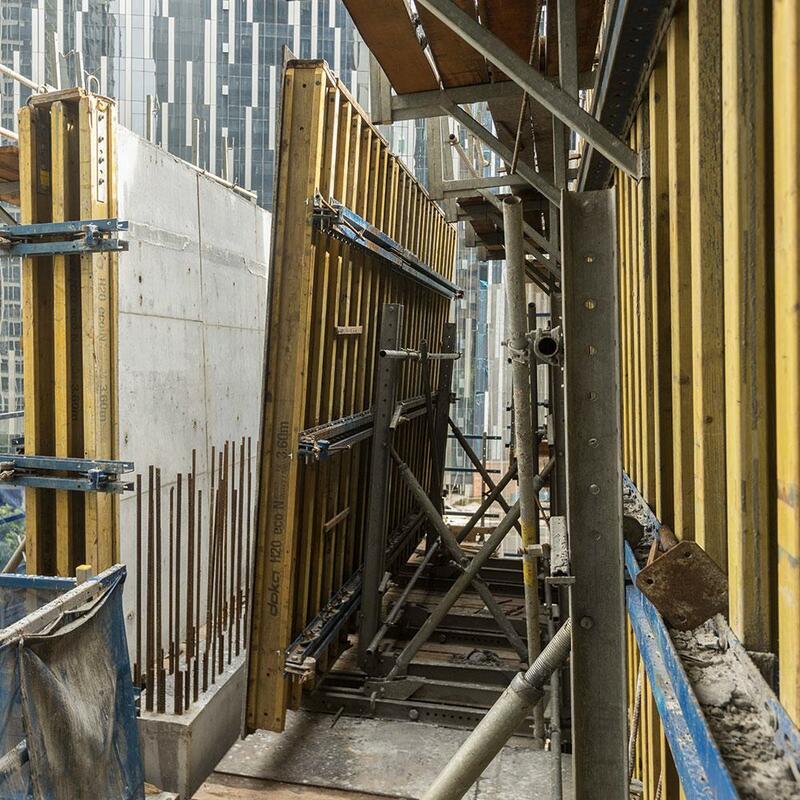 As the site is located next to the heavy traffic, Protection Screen X-Climb 60 is used to prevent falling objects. Proposed using X-climb 60 corewall to jump head to save the cycle time . X-climb 60 pretection screen for safety protection and using dokaflex table form with table lifting system to reduce the crane usage. Thank you for your interest - PNB 1194 Hotel. Thank you very much for your interest - PNB 1194 Hotel.